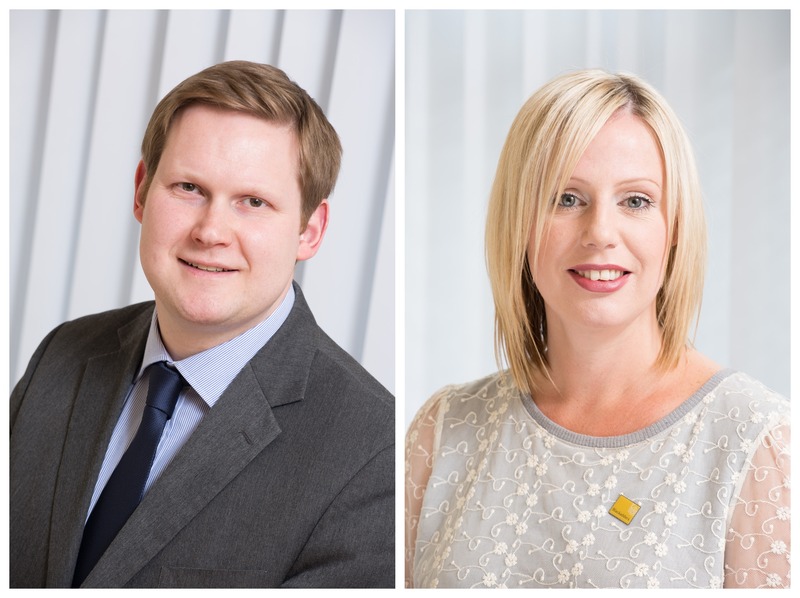 I am delighted to announce that Brian Main and Jill McCulley, both well-known figures in the Dundee, Perth and Angus property markets, have joined our expanding property team. Brian joins in the position of Angus Branch Manager. Brian has worked in estate agency for the last 18 years. He has also managed a panel of over 160 estate agents located throughout Scotland which has given him valuable experience on a national level. His experience in the industry and understanding of what constitutes best practice means he is well placed to manage Blackadders growing business in the area. Jill joins the team as senior property manager and will be responsible for the Dundee and Perth areas. Jill is a former graduate of the University of Dundee and has over 12 years’ experience working within the property and estate agency sector. I am excited that Brian and Jill have joined the team – their experience, energy and enthusiasm will further enhance the service we provide our clients. We are an ambitious, well-resourced firm with a strong, dynamic team and a very strong track record of innovative thinking. Our clients look to us to provide clear, accurate and quick information. Our commitment to be at the cutting edge of the property sector means that we are always looking at new innovations to maintain that position. We have developed systems to try to make the process of buying or selling a home less complicated and less stressful. 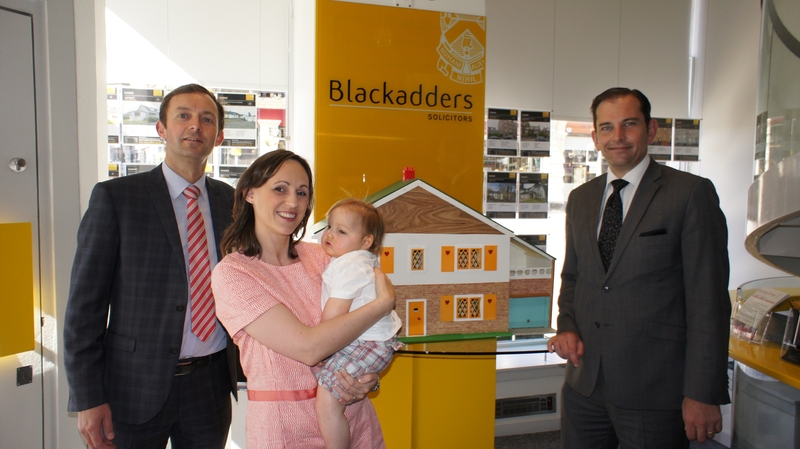 With our use of state of the art technology and by employing some of the best property people in the local area, Blackadders can offer a service that is second to none. Following a recent landmark ruling in Dundee it has been warned that property investors could lose their HMO (Houses in Multiple Occupation) licences if they rent out properties to irresponsible tenants. Dundee’s licensing committee revoked two HMO Licences after their student occupants ‘plagued and ruined’ the life of a neighbour who lived in a property on the city’s Seafield Road under the two flats in question. The tenants were the subject of at least forty police call-outs and were responsible for flooding of the neighbouring flat on three occasions. This affected the neighbour’s health and also caused thousands of pounds worth of damage to his property. The agent for the two flats had however argued that any damage was quickly repaired and that potential tenants always went through an extensive vetting process. Further he was not aware of any problems at this property. As a result of these actions the HMOs were revoked at a recent meeting of Dundee City Council’s licensing committee. I am sure that this verdict will send out a strong message to other HMO operators in Scotland in future. This year we had two team members who managed to achieve Gold – completing all 54 miles – Simon and Andrew. They set off at 07.15 on Saturday morning and finally crossed the finishing line at 05.44 Sunday morning, an amazing 22hrs 27mins 52secs. There were a large number of team members who set out to conquer the Silver challenge – 36 miles – those achieving this did so in times ranging from 14hrs 38mins – 17hrs 38mins. 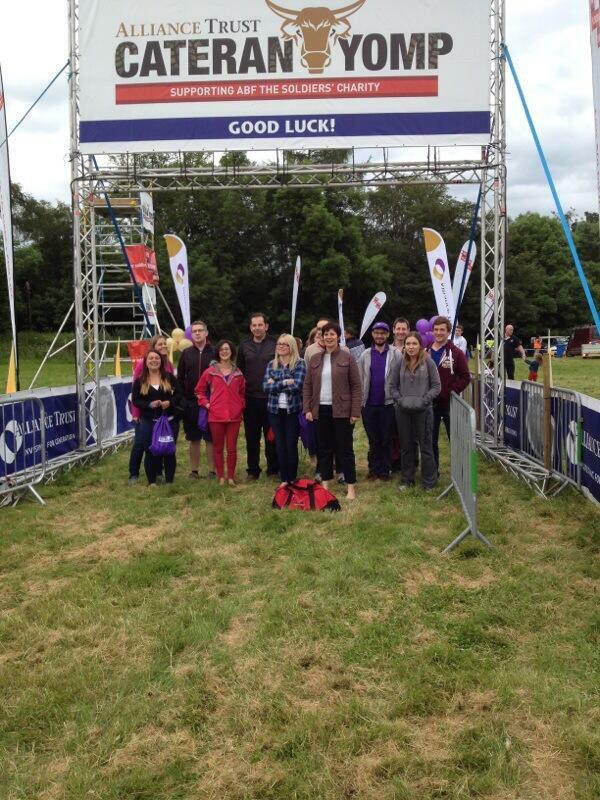 There were also some novice walkers who took on Bronze – a full on 22 miles taking 10hrs 6 mins. I am sure you will all agree, no small undertaking by anyone, many congratulations to every single one who took part, you did a great job. Many hours of training, very many blisters burst (Compeed sales have gone through the roof), very tired legs but the most fantastic team spirit. In total, the team members have raised funds in excess of £5,000 which go towards The Soldiers’ Charity. Well done everyone who took part in another great event! Bonnie is Director for Scotland at recruitment specialists Badenoch & Clark. A graduate in the Psychology of Human Communication and French, she has been working within the recruitment sector for over 15 years. She also ran her own business in England for five years and had clients across Europe. Bonnie is a director of Women’s Enterprise Scotland and is also on the board of the Charity Women onto Work (WOW), supporting disadvantaged women into meaningful work. As Regional Director for RBS Business Banking Scotland, Gerry leads a team of 110 staff covering locations across Glasgow, Fife, Tayside, Aberdeen, together with the Highlands and Islands. His team have responsibility for serving approx 30,000 customers, ranging from Start-Up Businesses to well established SMEs with turnover up to £2 million per annum. The customer base is spread across all industry sectors. Married to Kathryn, Gerry has 2 sons and enjoys active participation in football and tennis in addition to being a spectator of any sport. He also enjoys walking, reading and a beer. Russell Dalgleish is a Serial Entrepreneur, Investor, Advisor and Inspirational Speaker on Entrepreneurship & Leadership. Today I split my time between Exolta, a leading advisory business and pro bono work coaching young entrepreneurs. I’m regularly to be found speaking at events where I share my excitement for entrepreneurship and my experience on how to successfully grow businesses like yours. I am naturally inquisitive, asking probing questions, spotting the opportunities, then quickly finding the most workable solution – bringing people together in a way that benefits everyone. And that’s all I want from life: to take something and help in making it better. Lindsay Darroch is a partner at Blackadders Solicitors, a long established law practice, which provides a comprehensive range of legal services to individuals and businesses from its offices in Aberdeen, Dundee and Edinburgh. Lindsay is head of the property group, covering residential, commercial and rural property. He is a well-respected lawyer with a recognised extensive knowledge of the Scottish property market. Lindsay acts for a wide range of clients including private clients, developers and property investors. His ability to “get things done” his skill in negotiating the best possible deals and his approach to client care has resulted in an ever growing client base. Ewen Fleming is a Partner with 35 years’ experience within the financial services sector, 28 of which he spent in the industry. For 10 of these years in industry, he operated at Retail Board level with RBS and Santander. Ewen runs the Banking team within Grant Thornton’s Finance Services Business Consulting practice and is the lead partner for the firm’s Edinburgh office. Ewen has in his career been responsible for lending to the SME sector and has a special interest in the dynamics of the small business sector and how his banking clients meet this important sector’s needs. Fiona Fowley is the founder and owner of Zen Lifestyle, Edinburgh’s award winning beauty salon group. The business is highly respected in the world of beauty and spa, and currently holds the prestigious industry awards for Best UK Salon and Employer of the Year 2014. Originally a beauty therapist, Fiona started the business after realising there was a gap in the market for very high quality treatments in a beautiful urban environment. Over the last 14 years the business has grown steadily to 3 salons with 38 staff. Fiona’s business philosophy is based on providing clients with the very highest standards, in both treatment and customer service, to ensure that word of mouth is the key driver of sales growth. Jim is currently Pro Bono Executive at Inspiring Scotland, a charitable organisation that provides money, skills and development support to over 70 Scottish charities supporting Scotland’s most disadvantaged people and communities. Previously, he worked for Bank of Scotland both in the UK and the USA where he has held senior roles in relationship management, business development and risk & operations. These roles involved working with private, public and not for profit clients in a wide range of sectors. He is currently a board member for two local charities and has provided pro bono support to other voluntary organisations including acting as a business mentor to high school students under the Young Enterprise Scotland programme. National Manager at Business Gateway, employed by COSLA. Linda has experience in both public and private sectors and has worked in sales, international trade, people development and quality management roles. She has recently completed training as a Counselling Psychologist. Monica specialises in executive search. With 24 years experience interviewing candidates for roles in financial services, retail and medical professions, her early career was in Human Resource management in the NHS and blue chip listed companies. Monica became an investment analyst and investment director in the late 1990s. From 2000 to 2009 the CEO of a small business, Monica went on to work for the Institute of Directors in Scotland, developing an excellent network in the Scottish private, public and charity sectors. Monica has over 15 years of board experience as a non-executive director and sits on the steering committee of the Changing the Chemistry Group and is a member of the 2% Club. Monica advised a number of Angel Investor Syndicates on board governance and is a specialist external examiner of the Institute of Directors’ (IoD) Chartered Director qualification and for numerous investment examinations for the Chartered Institute for Securities and Investments (CISI). Katherine has been brought in by the Institute of Directors (IoD) in Scotland to develop member services and business partnerships for and on behalf of Directors, NXDs and Boards in Scotland in the Public, Private and Third Sector. Katherine’s background as a Director of Marketing & PR working for companies in Scotland both in house and in consultancy for over 20 years in all sectors has been the perfect platform to support the IoD members in Scotland today. Commercial Banking team at the Clydesdale Bank. His first role with RBS was Relationship Manager in the Business and Commercial Team based in East Kilbride. With customers at the heart of each and every day this was a position that Darren thrived in. In 2011 Darren took on a role reporting directly to the Regional Managing Director of Business Banking in Scotland managing the liabilities book. During a period of UK economic unrest this role was pivotal in helping steer the Business Bank back into more calm waters. In November of that year Darren was tasked with piecing together the strategic approach to providing banking support and expertise for the Community and Social Sector in Scotland. The success of this team lead to Darren being promoted again November 2012 to the Director of Enterprise for Business Banking Scotland, which is where he finds himself today. This role largely requires him to manage and facilitate all of the key players in the entrepreneurial ecosystem in Scotland, both within RBS and externally. After qualifying as a CA in 1988, I returned home to Orkney to manage A.J.B. Scholes, the accountancy business started by my late father, and was sole practitioner in the firm until it was incorporated in 2008. I’m now a director and shareholder of A.J.B. Scholes Ltd, though I retain a hands-on approach to management within the firm, working closely with colleagues to ensure we’re delivering the highest standards of professional support to our growing numbers of clients. Chair of the ICAS Members in Practice Advisory Board (MiPAB) and a member of the ICAS Council, I’m keen to increase and enhance the engagement ICAS has with its members and generally raise the profile of the accounting profession. I joined RBS in 1988 and have been working with SME customers for over 13 years within Business Banking Scotland. Prior to that I was a customer service officer, customer adviser and branch manager in the retail Branch network, giving me a rounded background in the inner workings of branch life. I am an Ambassador for Women in Business as well as Charities and Social Sector, and regularly attend events in Edinburgh and Glasgow that focus on these 2 areas. I wish to support and help my customers grow, provide the support needed to give businesses a boost at the very, beginning of their journey and to help existing businesses to grow. The Awards, the only National Business Awards for Scottish business and professional women, are currently open for entries. Supported by Business Gateway and RBS, there are ten awards categories. 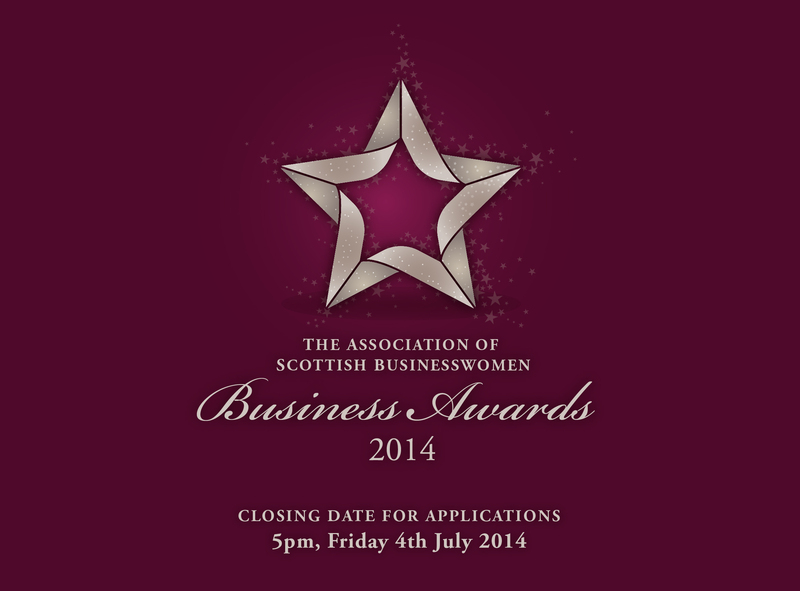 Many are open to both members and non-members of the Association of Scottish Businesswomen. To enter and read more about the categories, please visit the ASB website. Entries close at 5pm on Friday, 4th July – so don’t delay!